The Concord Consortium is proud to announce the Innovative Technology in Science Inquiry Scale Up (ITSI-SU) project funded by the National Science Foundation! 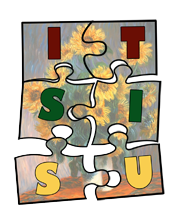 ITSI-SU is a scale up of the highly successful ITSI project and is meant to reach a greater number of elementary, middle and high school science teachers. This comprehensive information technologies (IT) project will assist teachers in preparing diverse students for careers in IT by engaging them in exciting, inquiry-based science projects that use computational models and real-time data acquisition. Participating teachers will be part of an online educational community where they will have access to outstanding science exemplars. They will be able to create and modify activities based on their own curriculum and objectives. They will receive over 75 hours of lab-based activities in physical, earth, and life sciences for grades 6-12 and full support for classroom implementation.